This year we will be auditioning for a cast of young people aged 8 – 11 to perform The Jungle by Adam Peck. The cast will perform in the Drum as part of the Playhouse Festival in July. The production will be directed by Sally Burne. When a turbulent war rages between Sloths and Eagles, the Monkeys are forced to flee their homeland and seek refuge with the Pigs of Pig Island. Whilst the Monkeys await help in their make shift ‘Jungle’ the Pigs are reluctant to end their plight. 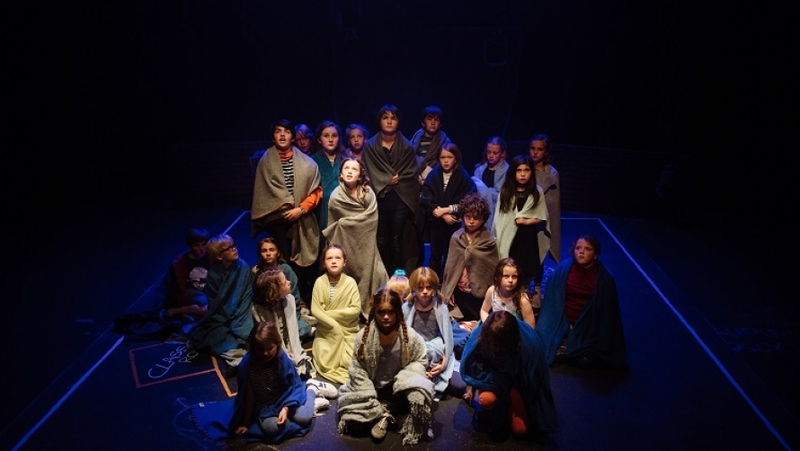 This play is a modern, thoughtful and accessible look into the current refugee crisis. These will be held at our Production and Learning centre, TR2 in Cattedown. The audition will last two hours and in that time you will take part in a workshop with the director so that we can see you working in a group working and devising together. If you would like to audition please let us know by Friday 28th April to book into one of the audition slots. Rehearsal will begin on Sunday 21st May at TR2. You can download the rehearsal schedule from this page. The majority of rehearsals will be at Half Term and Weekends. If there are two or more rehearsals that you are unable to attend, I’m afraid we would not be able to cast you in this production.